In a sacred space, your footsteps echo out over the soft murmuring of the gathered crowd. You almost can’t decide where to look – the intricate forest of branching columns, the glittering stained glass windows that glow in the walls, or the tall vaulted ceilings that rise up above you for what seems like miles. You may not be able to put to words exactly what you feel, but you feel the presence of something here. Humbling and awe-inspiring excursions are the foundations of Faith tours. With a range of 20-44 travellers, and an average group size of 32, you’ll be on a spiritual sojourn you’ll never forget. These are Faith tours, and these itineraries are designed to inspire and enrich. Faith tours are for those who want more out of their travel on a spiritual level, and want to witness the special religious landmarks in the world. See the beauty of places with powerful religious significance, and walk through the streets where history was changed by people that had a spark of the divine within them. Faith tours are more than a journey of the body, but a journey of the soul as well. A FORTHRIGHT JOURNEY TO WORLD-FAMOUS spiritual destinations. Faith tours are about seeing the world in a richer, more meaningful way. Faith tour itineraries are designed to show you a destination from a spiritual angle. See the masterpiece of Spanish Gothic architecture, the Cathedral of Burgos. Cross the waters of Israel’s Sea of Galilee aboard a replica boat in which Jesus would have sailed. Visit the ruins of Ephesus, where Paul the Apostle spent three years during his ministry. A Faith tour is about travel that not only shows you incredible places, but enriches your spiritual life. These tours are often collections of small, quiet, and powerful moments. Stop to bask in the art and architecture inspired by the religion and spirituality of their creators. Enjoy prayer service in the Augustinian monastery in Erfurt, Germany, where Martin Luther studied. Visit the Pools of Bethesda, a miracle site in Jerusalem where Jesus healed the paralytic. Visit the Jasna Góra Monastery in Poland to gaze upon the famous Black Madonna. On a Faith tour, it is important to focus on the details. 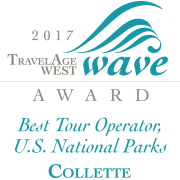 With Collette’s guided touring experience, your full attention will be on your travels. fulfilling LIKE NO OTHER TOUR. Our Faith tours try to stay humble, in keeping with the tone and essence of the places visited. This means the accommodations found are more on the modest side, keeping the focus on the spiritual element. Visit Gaudi’s masterpiece “La Sagrada Familia” and celebrate mass. Travel to Corinth where Paul the Apostle lived and preached for two years. Visit Germany’s Gutenberg Museum, and see a copy of the world-changing Gutenberg Bible. Faith tours are multi-faceted journeys that will take you across the globe to show you must-see religious destinations. 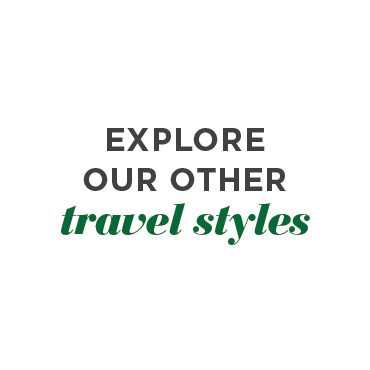 Find inspiration at Spain and Portugal’s most revered sites. Embark on an inspirational journey through Germany to follow the trail of one of the world’s most influential religious reformers. Travel to some of the most ancient sites in the world on this inspirational journey to the Holy Land. Shepherds’ Field in Israel is where angels supposedly appeared on the first Christmas night. Vatican City, located within Rome, is actually considered its own country. St. Augustine’s Monastery in Germany has stained glass windows designed in the 14th century. In 1986, fishermen on the Sea of Galilee found an ancient boat dating back to the 1st century A.D.